1. Work description – This section spells out the work involved and the people or groups responsible for each task. This functions as an overview of the work and should include the scope, definition of work areas, and authorized signatories. 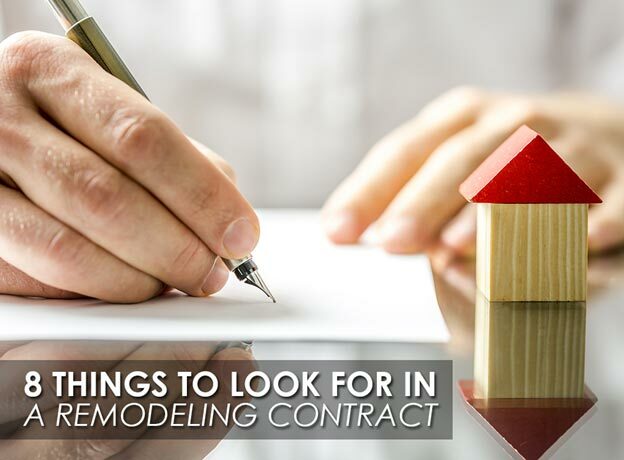 This should also set the expectations on what the contractor is supposed to accomplish. 2. Detailed bill of materials – This part discusses in detail the itemized list of materials, labor, and other costs. When reviewing this part, you should pay attention to the model/catalog numbers and make sure they match the materials you have chosen. 3. Procedure for amendments – Sometimes, you and your roofer in Chicago will have changes in agreement. In case you need to make new decisions, this section outlines the procedure and the people authorized to sign off on these changes. It also includes the definition of the circumstances for making amendments, which typically includes qualifying circumstances. 4. Timeframe – This section defines the project start and end dates and may include daily targets. A subsection on penalties for missing completion dates can also be included. Be specific about the amounts and clearly define the terms. 5. Terms of payment – Your roofer will discuss the financial details here. This includes your down payment up to the final payment, which you will pay upon completion. Complete payment after a satisfactory installation is a common practice in the industry. If a contractor asks for a full upfront payment, you may want to think twice about hiring that contractor. 6. Permits – If your contractor is responsible for securing regulatory permits as required by local laws, this will list all the required permits. 7. License, insurance, and bonds – As with permits, the contractor should already have the required state and community licenses. Insurance and bonds are important to protect you from property damage or worksite-related injuries. 8. Termination clause –This section details the allowable circumstances where you or the contractor can end the job, with applicable penalties indicated. At Rogers Roofing, we would be happy to answer any questions and review the contract with you before working on your roofing in Schererville, IN. Indiana homeowners can call us today at (219) 228-8210, while Illinois homeowners can reach us at (773) 492-2270. You can also fill out our contact form and we’ll get in touch with you.